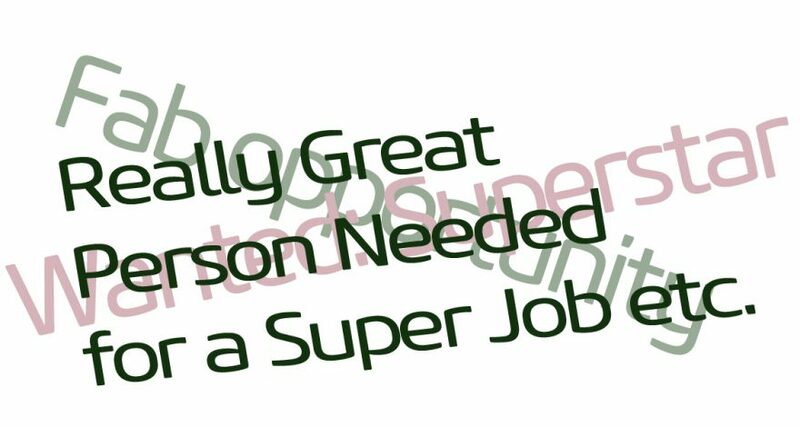 How do you write a great job ad title? Recruiters are busy people and anxious to spread the word about new roles. But resist the temptation to be too hasty getting jobs online. A bit of care up front writing the right job title and description will pay dividends down the line. Whether you have a complete brief from the client or are writing the ad from scratch there are some simple rules to keep the search engines interested and help candidates find your jobs. Think about your keywords. You’ll already have your own ideas about what works for your market and probably follow house style, but here’s a few thoughts around search, usability and readability that might help newer recruiter colleagues. Include terminology that helps the candidate before they click. Terms like ‘part-time’ or ‘night shift’ can help save you paying for clicks from unqualified or disinterested candidates. Include common abbreviations in your job title. If a job is well-known by a particular abbreviation, job seekers will often include those abbreviations in their searches, so use both. For example, for a registered nurse, consider using ‘Registered Nurse, RN’. Don’t rely on the abbreviation alone. Check and check again. Mistakes don’t look good. You look sloppy and introduce doubt in the candidate’s mind. If your job title is misspelled, it’ll never show up in search. Let us know if we can help with anything!